"Response Time Was Very Fast And The Electrician Was Very Competent." "Excellent Service. Clear Information And Very Competitive Quote." "Good Communication. Polite And Friendly. 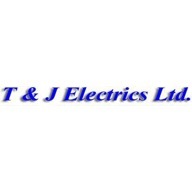 Work Done Quickly"
"Solved Problem And Gave Advice"
Need a Electrician in Chesterfield?